WOW!! 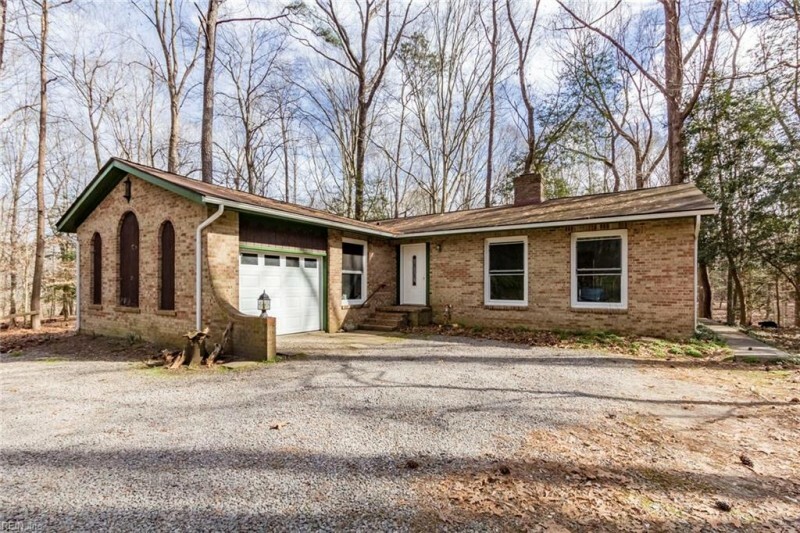 THIS 3 BEDROOM, 2 BATH RANCH SITS ON JUST UNDER 9 WOODED ACRES! TAKE IN ALL THE BEAUTY AND NATURE THAT SURROUNDS THIS HOME ALL WHILE BEING MINUTES AWAY FROM THE TOWN OF SMITHFIELD! SOME UPDATES HAVE BEEN DONE THROUGHOUT BUT THIS HOME IS READY FOR IT'S NEW OWNER TO COME IN AND MAKE IT THEIR OWN! IF YOU ENJOY THE OUTDOORS, THIS HOME IS PERFECT FOR YOU! CALL TODAY TO SCHEDULE A SHOWING! Ready to visit 14041 Foursquare? Request a free property tour! Send me more information about the listing at 14041 Foursquare, Isle of Wight County, VA 23430, MLS# 10239537. This 3 bedroom, 2 bathroom home located at 14041 Foursquare, Isle of Wight County, VA 23430 has approximately 1,500 square feet. It is currently listed for $250,000 and has a price per sqft of $16,667. This home is currently Under Contract under the MLS#: 10239537. This listing is provided by Atlantic Sotheby's International Realty. 14041 Foursquare Road, Isle of Wight County was built in 1975. It has Garage Att 1 Car, Garage Det 2 Car parking.The kitchen includes Elec Range. 14041 Foursquare is part of the All Others Area 65 neighborhood located in 23430.